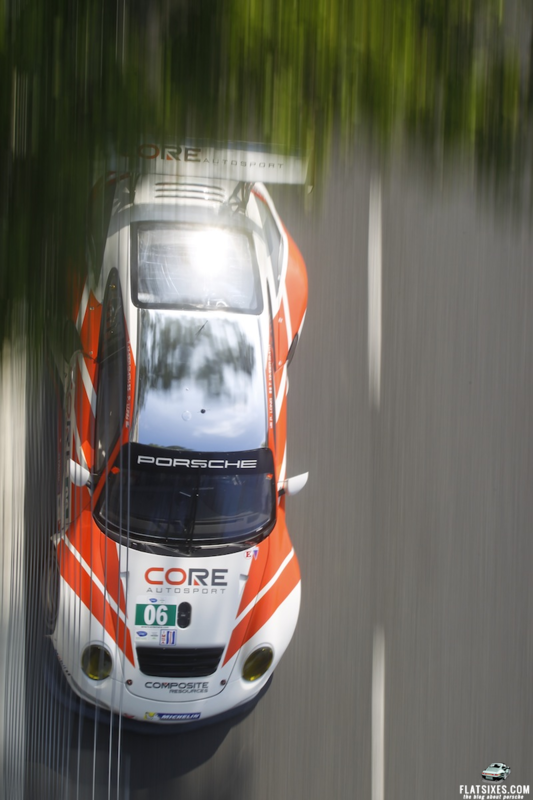 In a race marred by a 75-minute red flag after an 11-car pileup at the start-finish line, the #44 Flying Lizard Motorsports Porsche 911 GT3 Cup scored its first-ever ALMS GTC class win with Dion von Moltke (Coral Gables, Fla.) and team owner Seth Neiman (San Francisco, Calif.) aboard at the third annual Grand Prix of Baltimore. Read the full race report after our image gallery below. To use the gallery, simply click on any image for a larger version. When you're done viewing, click on the "x" in the top left corner to return to the post. 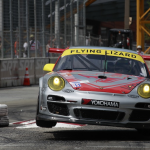 For the three Porsche 911 GT3 RSRs in the GT class, however, that start-finish incident left all three cars immobilized, and put all three teams out of the race before their cars even took the green flag. 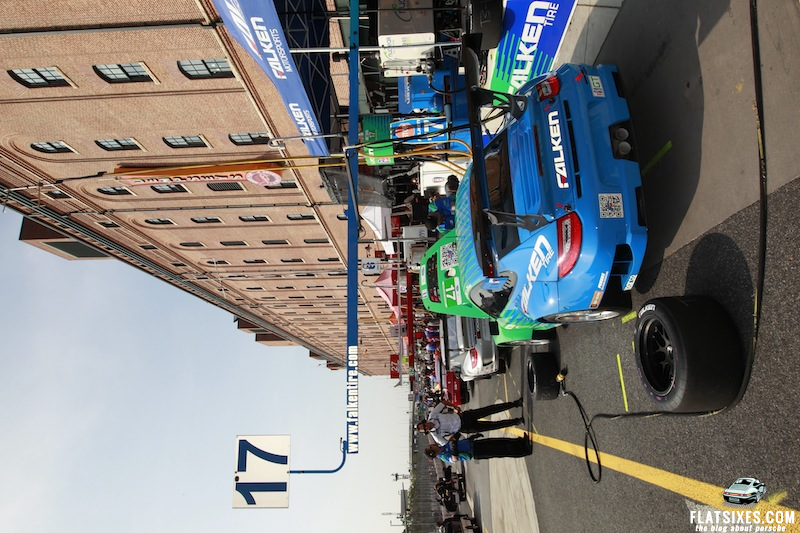 Wolf Henzler (Germany) was in the Team Falken Tire Porsche, and had a view of the situation. “Not a good way to start our race today. 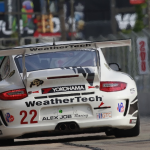 Not a good day for Porsche and for Falken Tire. We were all looking forward to this race today and to defend our two wins here. At the start, IMSA officials called green, and I went on the throttle. All of a sudden the 06 CORE Porsche braked hard and I didn’t know why so I also braked and tried to avoid hitting him. I moved over to the left but couldn’t avoid hitting him on the left rear and I spun. Then the Ferrari came and hit me again. I hope we all look at this and do it better in the future,” said Henzler. Tom Kimber-Smith (UK), who started the CORE Porsche, also found himself in the middle of the incident. “When we went green, the BMW in front of me and I had a good start. Scott Tucker (LMP2 prototype) spun up ahead, so the BMW darted to the left and I didn’t have any time to react. I tried to avoid Tucker as much as I could, but hit him fairly hard. The rest is a little harder to remember. I know I was getting battered on all sides and then I was getting out of the car,” said Kimber-Smith. The sudden braking of all the GT cars was caused by a collision of two LMP2 cars ahead of them. Bryce Miller (Summit, N.J.), in the #48 Paul Miller Racing Porsche, had nowhere to go, hitting one of the prototypes. Although all the Porsche drivers were okay, their cars were unable to continue. Watch the crash here. For Seth Neiman and the winning GTC Porsche, it was his first American Le Mans Series win in 88 starts, and von Moltke was glad to provide some satisfaction for his team owner. “Seth has contributed so much to Porsche and its success in the American Le Mans Series, it was great to be part of his first win here. After the bizarre start to this race, it was a gutsy strategy call by the team to change drivers on lap six, but it paid off as we held off the strong competition to win. After the last yellow flag, everyone was in my mirrors, but the car was great and stayed out of trouble. This was a great team win for everyone on the Lizard squad,” said von Moltke. Jeroen Bleekemolen (Monte Carlo) took the Alex Job Racing Porsche to a second-place finish, and put he and Cooper MacNeil (Hinsdale, Ill.) back in the points lead after the Flying Lizard Porsche of Nelson Canache, Jr. (Venezuela) and Spencer Pumpelly (Atlanta) broke a radiator during one of the many multi-car track incidents. The JDX Porsche of Mike Hedlund (Woodside, Calif.)/Jan Heylen (Tampa) was third, and narrowly missed out on second place after a three-way battle for that position in the last two laps. "I had amazing confidence with the car we had in Road America and we carried that momentum into Baltimore without a doubt. The crew did a great job rebuilding the #11 JDX Racing / Hertz Porsche. 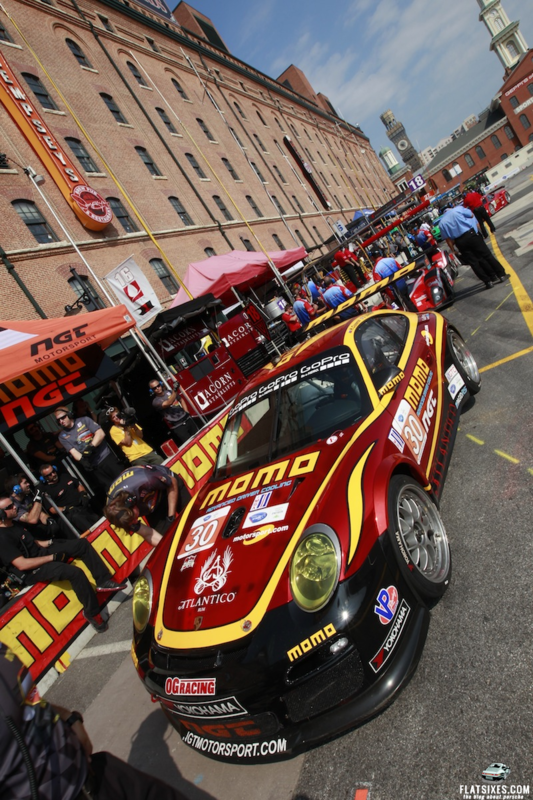 Nobody likes to see a race shortened, we had plenty of car for the GTC class to handle for the full distance. Once the race went green, the team gave me a great stop and allowed me to get into a rhythm. We had a great chance to win the race today, I'm really happy with the car and proud of the JDX / Hertz team,” said Heylen. Was there. Cried 3,000 tears.